This Spectacular custom home was built in 2006 by Einheit Homes with the finest materials and to the highest of standards and finishes. The house is grand yet intimate with 7825 SQ FT of uncompromising commitment to quality and excellence with every possible upgrade one could desire. 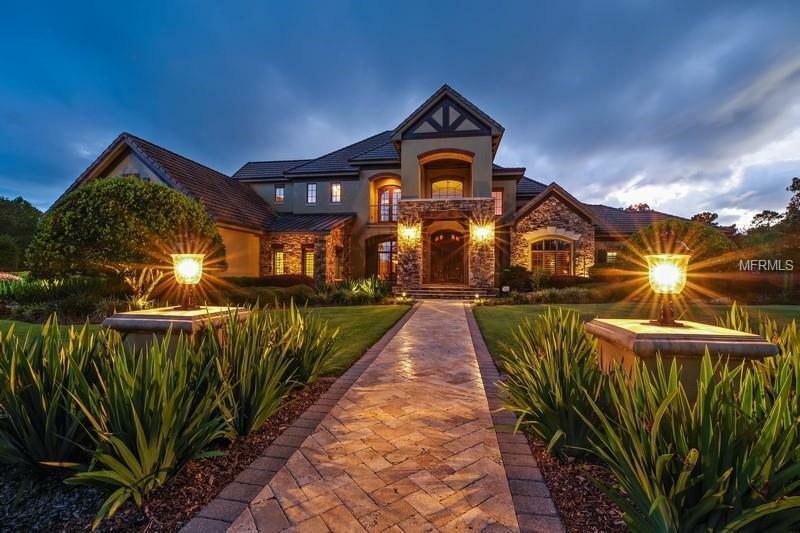 This 2+ acre estate is located in the coveted gated community of Mills cove & is situated on Lake Mills. The floor plan is masterfully laid out with 6 bedroom suites, custom office, hidden closet, media room, bonus room, computer work space, mud room and a hair salon. All rooms are expansive, well appointed & thoughtfully designed. Dream kitchen with handcrafted Busby cabinets, Viking appliances, dbl convection ovens, ice machine, hidden pantry, center island, granite counters and breakfast bar. Spacious kitchen nook with fireplace. Home features grand foyer, travertine flooring, wood in living room & office, extensive mill work, 3 fireplaces, coffered and tray ceilings, stone columns, plantation shutters, 5 AC units and 3 staircases. The master suite is the perfect retreat with a luxurious master bath with 2 showers and jetted tub. Amazing master closet with it's own W/D and huge center island with granite top. The outdoor living space is perfect for entertaining with custom pool, summer kitchen, heated spa, fire pit and private boathouse. A perfect combination of tranquility & luxury awaits those who wish for privacy, boating, skiing, fishing & true Florida living at it's best! UCF nearby & all new shops & dining in Oviedo! Additional Lease Restrictions Check With Hoa For Detailed Lease Restrictions. Amenities Additional Fees Boat Ramp/Lake Dues $200 Annual For Lake Front Homes. Only Lake Front Homes Have Access To Boat Ramp/Lake Mills.